If you're looking for keyboard controllers that you can use in the studio, on-stage, or anywhere you feel inspired, look no further than the Roland A-800PRO. The Roland A-800PRO has the features and feel you need to get the most out of your music performances and productions. When you perform with the A-800PRO, you're tapping into the benefits of over 30 years of Roland keyboard development. A superior key mechanism provides aftertouch and increased sensitivity for a wide range of expressive dynamics in your performance. Rounded key assemblies offer responsive reaction to your touch and more comfortable glissando. Plus, enhancements have been made to eliminate vertical shake and reduce the already low mechanical noise on key strokes. And with selectable Velocity curves you can fine tune the Roland A-800PRO to match your playing style. No matter what your skill level, you'll appreciate the feel of a quality instrument when you play the Roland A-800PRO. The Roland A-800PRO provides easy access connections on the side panel so that you can have a computer monitor or laptop in the ideal position behind the keyboard a must for educational use. Connect USB, MIDI In/Out, Hold and Expression pedals without having to reach behind the keyboard. The Roland A-800PRO has been ergonomically designed to put everything at your fingertips. All controls are easily accessible and intelligently laid out to make performing and producing music an inspiring affair. Whether you're playing your favorite virtual instrument or working in your digital audio workstation, 9 knobs, 9 sliders, 4 buttons, and a dedicated Transport section offers fully assignable control of all the features you need. And the sure-grip, rubber-coated Pitch Bend/Modulation Stick offers expressive control of both functions at the same time. The A-800PRO Editor for Mac and PC makes it a breeze to customize the A-800PRO for use with your favorite synth or DAW. Just fire up the editor, adjust your Control Map, and hit transmit ... it's that easy. The Roland A-800PRO puts 8 velocity sensitive Dynamic Pads right within your reach. Use these pads to trigger grooves, samples, or one shots on the fly with your favorite DAW, sampler, or virtual Instrument. Use the Hold control to "latch" the pads. Or assign aftertouch, velocity, and controller data to pads for greater expression in your performance. Don't trust your MIDI to anything else! 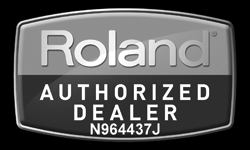 The A-800PRO offers MIDI Transmission using Roland's proprietary FPT (Fast Processing Technology). You can rely on FPT for stable, high speed, low latency, and low jitter MIDI transmission. In layman's terms, that means that subtleties of your performance are going to be captured regardless of the music application you are using. And when working with virtual instruments, FPT provides lower latencies to give you the inspiring feel of playing a real instrument. Available until 11 PM (EST) today. Mention special code 209-XFFH when you call.